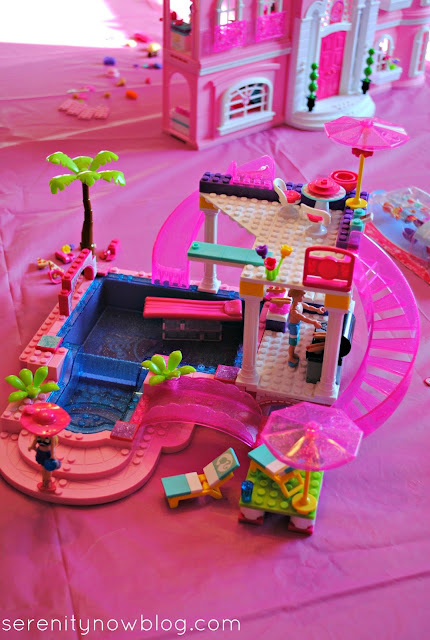 Mega Bloks sent a great assortment of goodies our way, including the Mega Bloks® Barbie® Build ‘n Style Luxury Mansion and the Mega Bloks® Barbie® Build ‘n Style Pool Party. 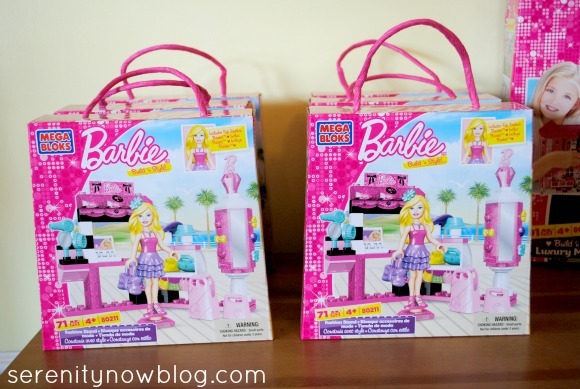 They also sent a "goody bag" for each girl to take home with them: the Mega Bloks® Barbie® Build ‘n Style Fashion Stand or the Mega Bloks® Barbie® Ice Cream Cart. It was like Christmas in February! T and I took a look at the boxes the night before the big play date and we decided that it might be a good idea to save the girls some time and put together the larger toys (the mansion and the pool) before the party. I am so glad we did! The bags of pieces took some time to organize, although the directions were fairly easy to follow. 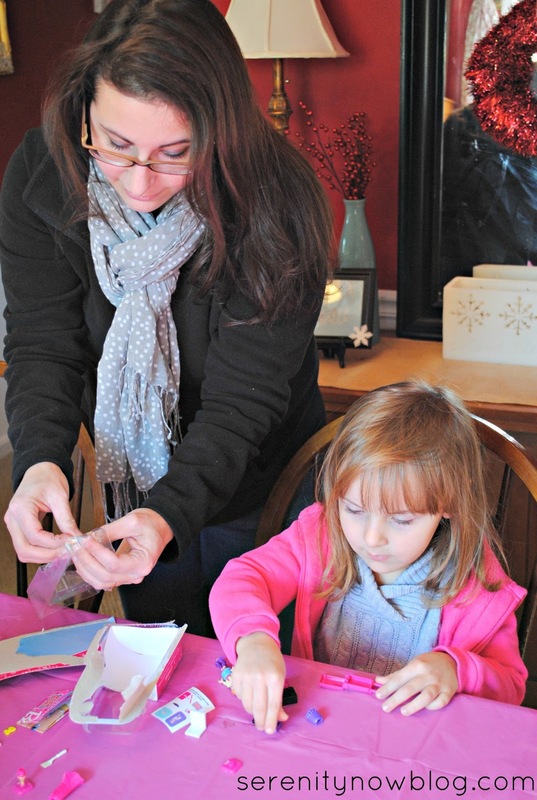 Unless your five year old is a very experienced builder, I recommend having an adult on hand for the building process (with the larger sets). 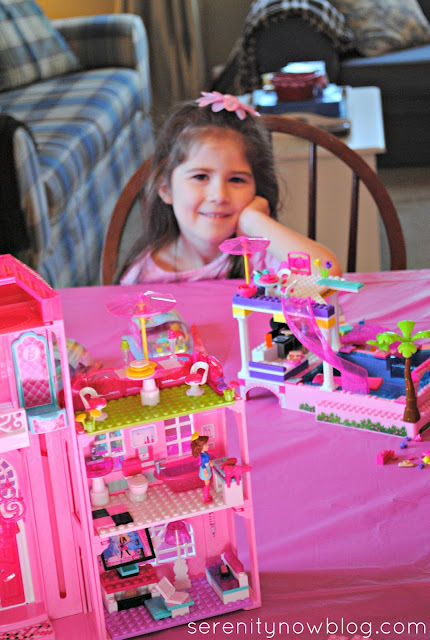 I think the choice to "pre-build" saved a lot of frustration with the moms and guests on the morning of the play date. As you can see, I had a hard time keeping Michaela Byrd out of the dining room before her friends arrived. Luckily, Natalie was at school, so I didn't have to keep two of them out! 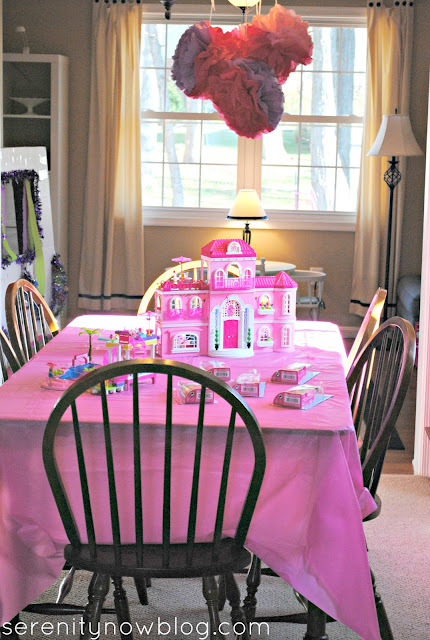 I don't normally decorate for play dates, but this was a special occasion, so we used some of the supplies left over from Michaela Byrd's Barbie Birthday Party last month. 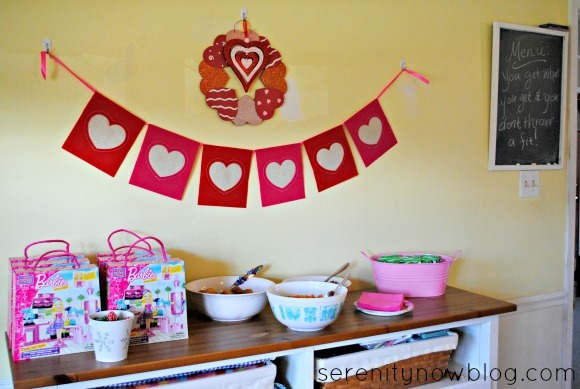 Our Valentine decorations also went perfectly with the color scheme! And, of course, the toys are their own "decoration." The guests spotted them the second they walked in the door. 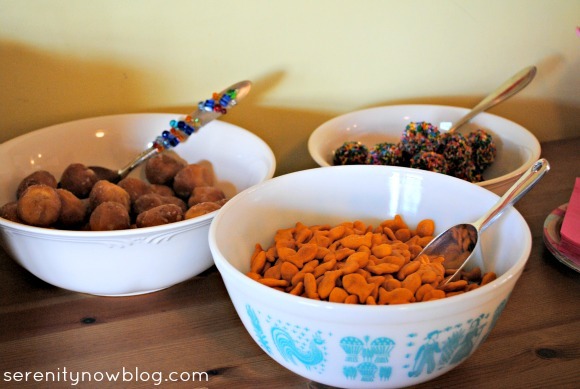 Snacks included donut holes, goldfish crackers, juiceboxes, and homemade coffee cake and coffee for the moms. As our guests arrived, they each chose a small Mega Bloks toy to open and assemble with the moms' help. Then it was a Barbie free-for-all in my dining room! The smaller sets took almost no time to put together, and the older girls were able to assemble them with little to no help at all. 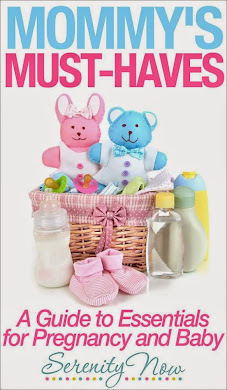 The moms all exclaimed over how cute the "dolls" and accessories are. 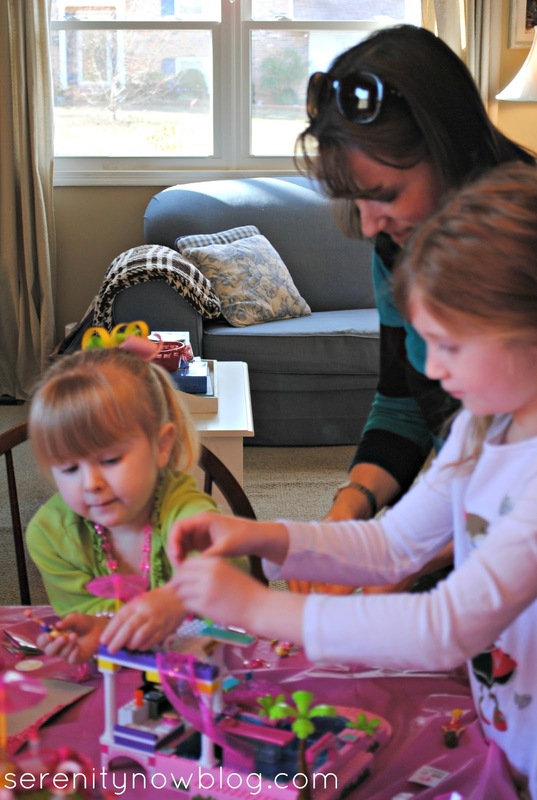 I had some extra activities planned, but the girls were having so much fun with the toys that I hated to tear them away...always a sign of a good play date! I think the play date was a huge success. 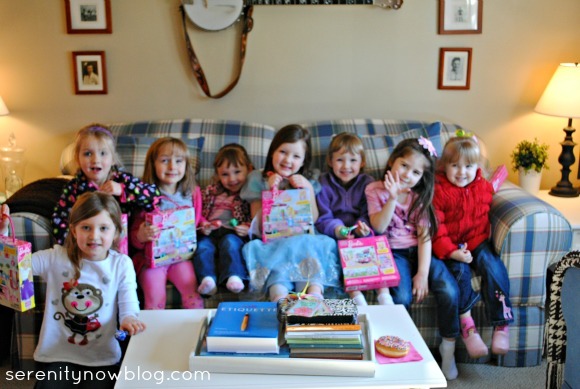 The girls were introduced to a super-fun new set of toys and got to take home a fun new treat, and the moms had a chance to chat for a bit. Win-win! 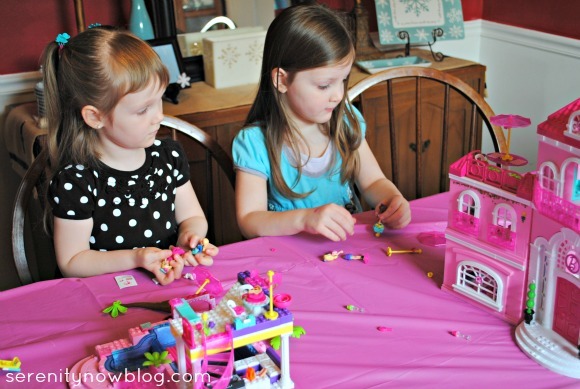 My girls have enjoyed playing with their Mega Bloks® Barbie® Build ‘n Style Luxury Mansion and Mega Bloks® Barbie® Build ‘n Style Pool Party over the past few weeks. Natalie has lots of pieces that go to another building set brand, so it's been cool for Michaela Byrd to have her own now. There are so many cute little accessories and details! I appreciate the fact that Mega Bloks has really made these pieces affordable. 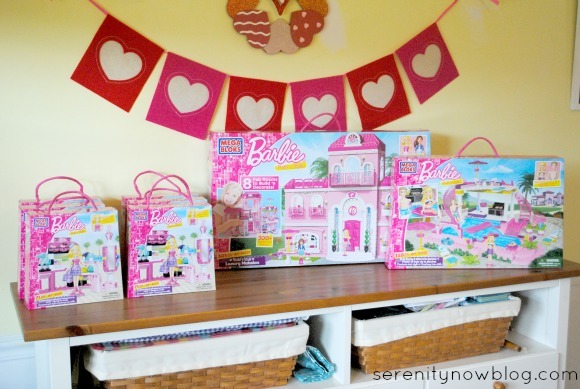 I've seen the sets at both Wal-Mart and Target, and I love that they sell small "doll separates" for less than $10. 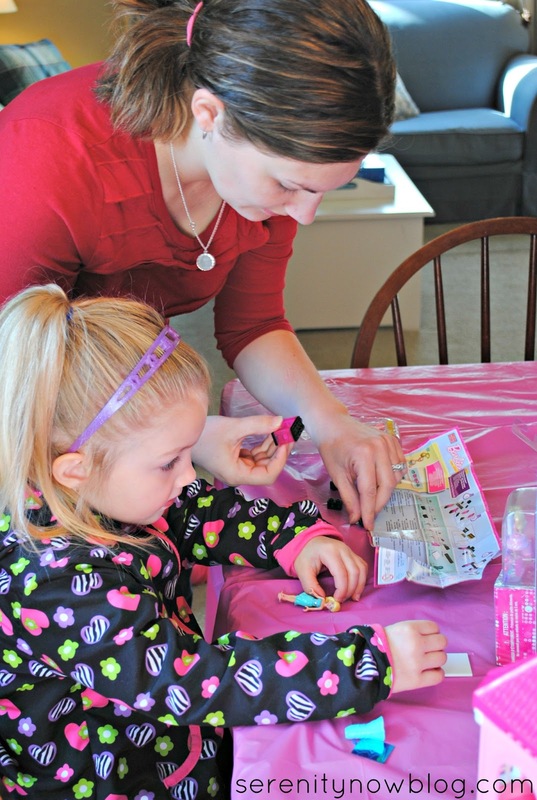 The Barbie usually comes with a spare outfit and/or hair, accessories, and an "extra" like a dog and dog house, travel agent center, birthday party set., etc. My only complaint would be that the wings of the mansion can be hard to snap (and stay) together, but they do better on a very flat surface like our table. Thanks to Mega Bloks for a wonderful event for my five year old and her friends! 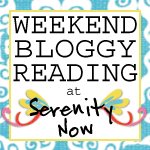 What are your kids into lately? Disclosure: This post was sponsored by Mega Bloks and MomSelect. I received free product in exchange for this post, but I was not compensated financially. 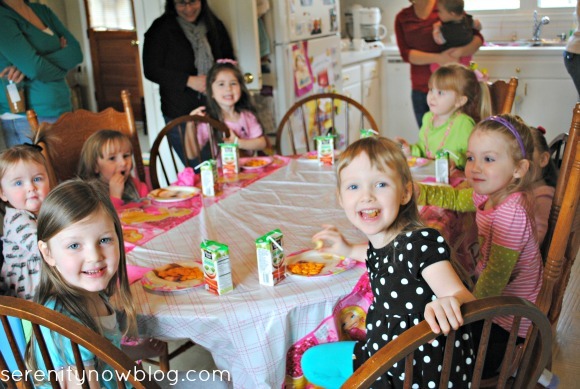 These are my kind of parties - fun, fun, and filled with beautiful smiles! I wish I have a little girl to do this for and play this with, but I don't, my boys are into the usual - baseball cards and beyblades! What a great party! 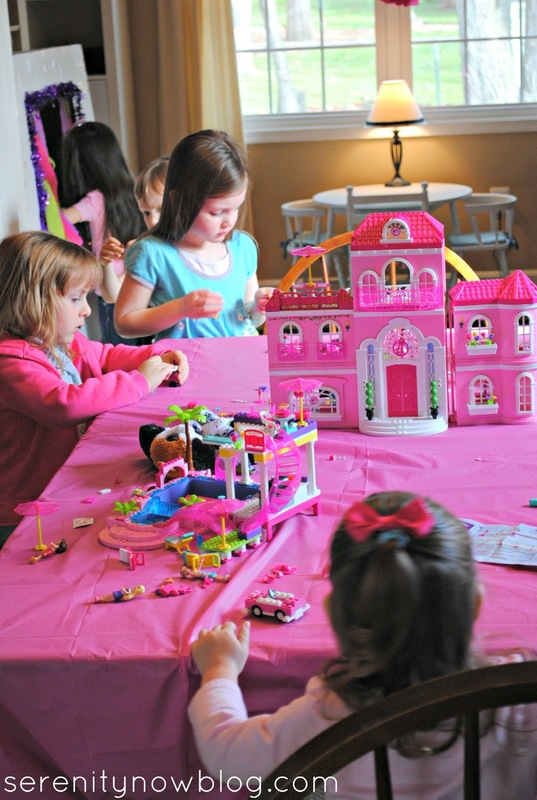 I bet those girls were in heaven with all that awesome Barbie Mega Bloks goodness! So fun! 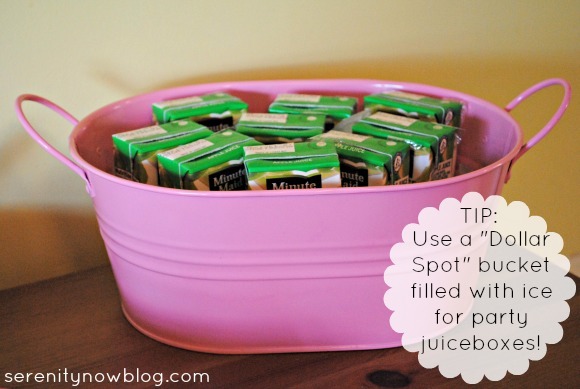 Don't you love that blogging has given you opportunities to try neat products like these? 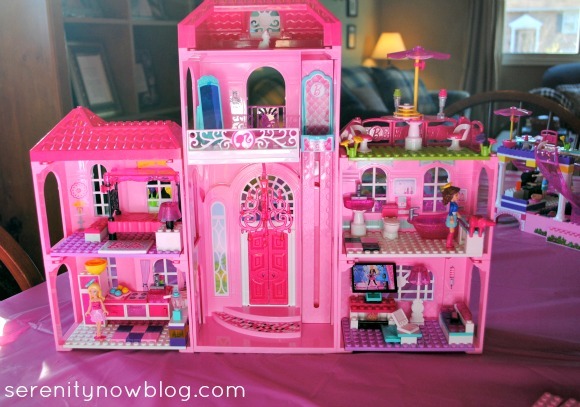 I'll have to admit that I want to play Barbies after seeing your pictures. What a fun play day! Love it all, just wish I'd had Mega Blocks when I was younger! This looks like SO MUCH FUN. 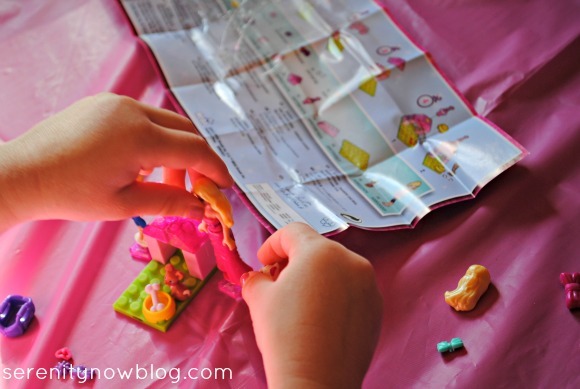 Kudos to MegaBloks for providing this--they're smart cookies to reach out to bloggers! I'd say it looks as if Michaela Byrd and her friends had a wonderful time. 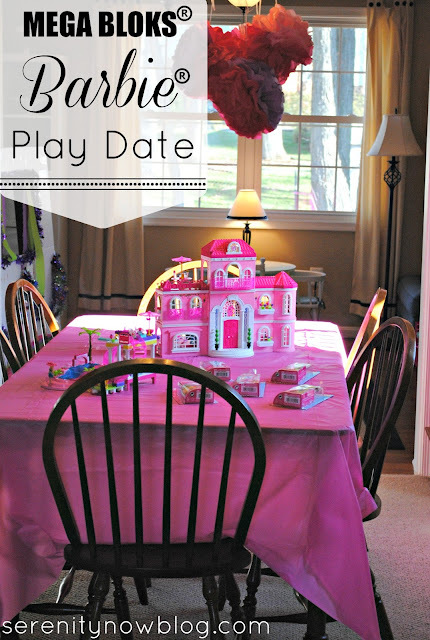 You made the play date a wonderful occasion--you're the best mom! Glad to see that building blocks companies are producing lines that are specifically geared for girls--playing with interlocking blocks has always been one of my boys' favorite activities, but many of the lines are much more suited to boys' interests than to girls'. 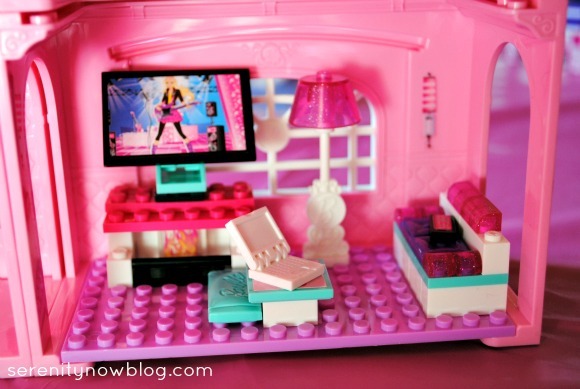 I'd say MegaBloks is brilliant for licensing the Barbie products! What a super fun party!! 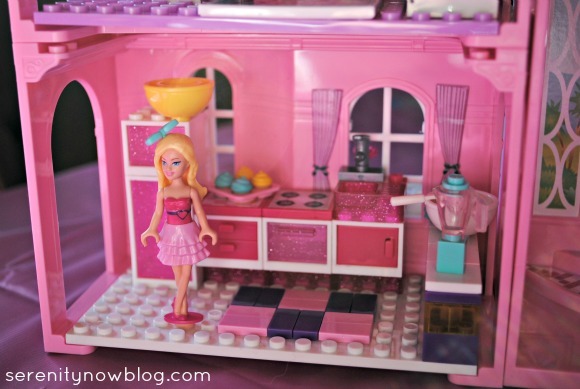 I didn't know Megablocks made a Barbie Line - my nieces would love that!